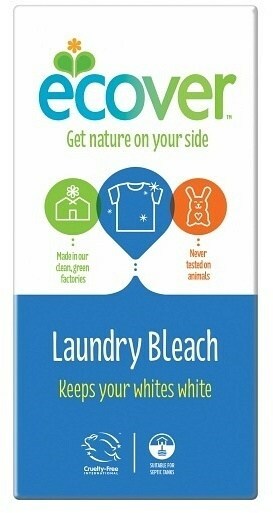 Get brighter whites and remove difficult stains without the harmful chemicals with the Ecover Laundry Bleach. Formulated without chlorine or phosphates. Instructions for use: Add the oxygen bleach to the dosing compartment of your washing machine.